Today I am back again with a new post, this time makeup related. 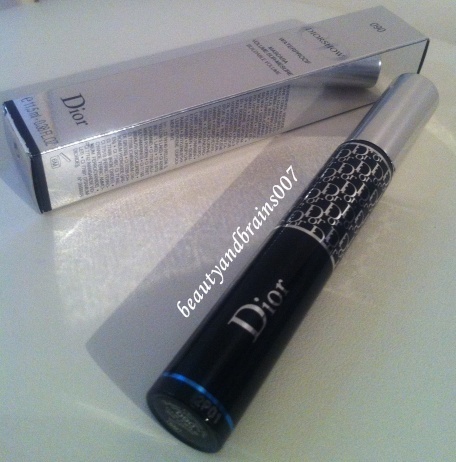 Let me present you the Dior Diorshow waterproof mascara in the shade 090- noir/black. I heard and read many raves about this mascara so when I was in the market for a new one before my wedding, I chose this one. It has an old school brush which I love, and it seemed to me that it will be very volume friendly. Since I was getting married I decided to buy a waterproof version in case of any tears. After all this was my first time getting married ;)! I can't really say that I ever had problems with mascaras smearing on me but safe is safe. The only thing I wasn't impressed with at first, was its price. It costed 229 kunas (about $39, 30 Euros, 25 GBP) for a 11,5 ml/0.38 fl.oz. tube which in Croatia you can buy in Douglas, Martimex, Iris, Limoni...everywhere where high end makeup is sold. But, because I am used to drugstore mascaras (my favorite mascaras are Maybelline One by One and Essence I Love Extreme) this was a new, expensive moment for me. And now I must warn you! 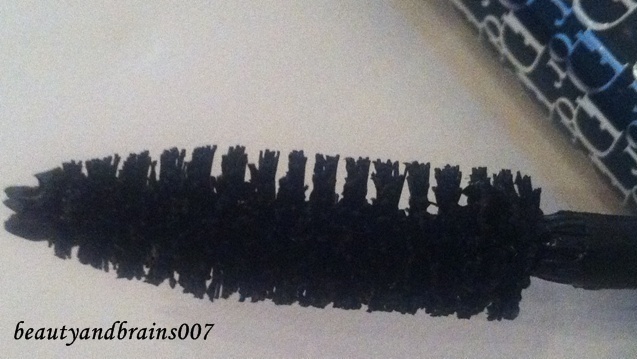 If you love this mascara and get mad or offended by other opinions, stop reading right here. Because I didn't like it at all! First, let me start with the price. It is really expensive for mascara and the quality is non existant. Fortunately, I tried it out before my wedding day. Application wasn't easy at all because of the big brush so I got some mascara on my lid. But that wasn't my biggest problem with it. Although it is waterproof, it smeared on my like crazy within one hour from application and that isn't my problem with any mascara. What was left on my lashes was horrible to remove. And that wasn't the end with it, either. My lashes were falling off. That freaked me out! I must say that I am never harsh when removing mascara. I remove my eye makeup using Lisa Eldrige method, holding pads on the eyes and then lightly removing any makeup residue. I tried it a couple more times after that but the results were always the same. The effect of it wasn't anything special at all, although it promises to lenghten and curl your lashes with buildable volume. So, I pushed it in the back of my makeup collection and ended up using my drugstore mascara for the wedding. I don't have any pictures of it on my lashes because I hated it, haven't used it that much and now, when it got old, it wouldn't be fair from me to post pictures. 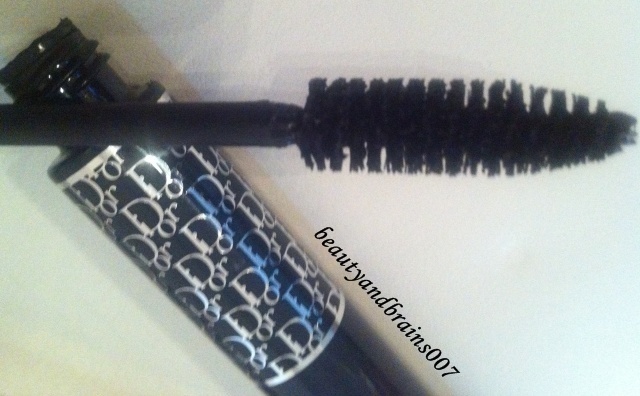 It had a bit dry consisteny at first but now it is creamy and sticks my lashes together. I didn't like it at all and wouldn't buy it again! Have you tried it? Liked it? Hated it?